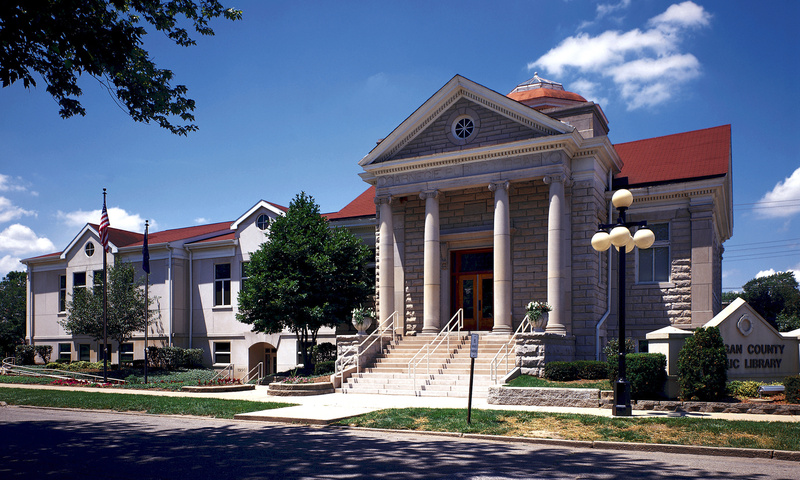 Architura Principal Chuck Kotterman led the design team that worked with the Library Director and Board to design a historically sensitive addition to an existing Greek Revival Style Library. The scope of work included restoration of the original Carnegie Building and Rotunda. The Historic Structure was adapted to receive new office functions. The work areas environmental and electrical systems were upgraded. Handicapped accessibility was designed and constructed as a part of the adaptation of the Historic Building to the modern living and code standards. The design of the addition was carefully studied and planned. Architectural elements of the new incorporated areas are compatible with the geometry and proportions of the Historic Library. All materials used in the addition were chosen to be compatible with the original design and aesthetics while specified to meet project budget requirements.